Please read and print this page, it’s a handy checklist and action plan to help you reduce your carbon footprint and impact on the planet. Indicate if you need to or have already undertaken the suggested actions. Share the list and your knowledge with as many other people as you can and encourage them to move to a ‘greener future’. 1. USE CLEAN RENEWABLE ENERGY: Invest in solar or geothermal energy if you can, or sign up to receive your energy from companies who supply 100% renewable energy. We can help you review your energy bills, switch you to cheap electricity generated by water, wind and sun. It takes less than 5 minutes and could save you money – https://bigcleanswitch.org/sussexgreen/. Check you know where your power comes from! Encourage power providers to switch to green power. 2. Monitor and Reduce your energy use: Utilise an energy monitor or maybe a smart meter to help you keep track of the energy you’re using- this should help you to use less. Turn off lights and appliances when you are not using them, don’t leave them on standby. Replace standard bulbs with energy-efficient ones and choose high efficiency appliances where possible. Appliances with ENERGY STAR ratings, an international standard for energy-efficient consumer products, typically utilise a minimum of 20 % less energy. This means savings for you and the environment. Use your washing machine on the coolest wash and hang to dry rather than using a tumble dryer. 3. Make your home more efficient: There are lots of ways you can make a difference and save money and energy, including insulating your pipes, walls and loft, draught-proofing, and turning down the heating by a couple of degrees. If possible you could consider getting a more energy efficient boiler/hot water system and windows. 4. Conserve water: Shower rather than having a bath, fix dripping taps, turn off taps while cleaning teeth and shaving. Collect rainwater for your garden if possible and use wastewater to water plants in the summer. Flush your toilet less and install a Hippo bag or dual flush system. Treating and transporting water requires energy, while water conservation results in reduced energy requirements and carbon emissions. 5. 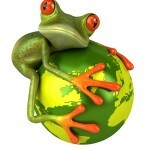 Consider ethical banking: Invest your money with an ethical bank which supports the green movement. See http://moveyourmoney.org.uk/institution-types/ethical-banks/. for more details. 6. Review your transport: Walk or cycle wherever possible – it reduces your carbon footprint and is good for your health! Use public transport or carpool, plus you could even participate in, or start, car-free days in your community. Register with a car sharing service such as Liftshare. When replacing your car consider an electric car (powered with 100% renewable electricity), an electric plug-in car or a hybrid car. Avoid flying whenever possible, take a traincation and enjoy the countryside along the way! 7. Get Political! Write to your local MP to raise your concerns about the environment – tell them what you want them to do on your behalf. You can join campaigning organisations like Greenpeace and Friends of the Earth and sign their petitions – these all make a difference! Or write to the Secretary of State for Business, Energy and the Industrial Strategy asking for action on emissions reduction. 8. Share your knowledge: engage with others around more environmentally friendly living, maybe joining your local Transition group or an online community group. Encourage friends and family to attend Climate Reality talks or organise a talk for their community (contact cort@sussexgreenliving.co.uk. for more information). 9. Get into gardening: Choose Drought-Tolerant and bee-friendly plants and plant a tree or trees if you can! Could you get an allotment or a share of one? You could also grow your own fruit and vegetables: this isn’t just a fun thing to do with the family, it’s good for the environment and it’s healthy too. You don’t need a big space, as grow-bags and hanging baskets can be used to grow foods such as tomatoes and herbs can be grown in pots or window boxes. There is no packaging and there are no food miles, the food is tasty, and growing your own food will help develop more resilience from potentially spiralling food prices. 10. Reduce and Recycle. Try to buy goods and food which have no packaging or minimal (and recyclable) packaging. Any packaging you have to buy, make sure you recycle as much as possible. For certain items with large amounts of packaging, ask retailers if they can recycle or re-use it. For electronics, facilities now exist for disposal in an environmentally responsible manner. Food waste can be composted. 11. Repurpose or Reuse: Rather than discarding or recycling clothing and household goods, give them a chance at a second life. Clothing or household items in good condition can be donated to charity, exchanged, sold at a garage sale or given away through Freecycle, Freegle or Trash Nothing. Through re-purposing, the amount of waste being sent to landfill sites is reduced, there is no need to use energy for recycling, and others can benefit from your used items. Be creative – reinvent, remake, recreate! 12. Move towards a more plant-based diet: What we eat not only affects our own health, but also the environment. Farming animals for meat and dairy requires huge inputs of water and land and has a much greater impact on the environment than producing plants such as vegetables and legumes. Try cooking a delicious veggie meal once a week, and avoid palm oil, the production of which is linked to rainforest destruction. 13. Choose to buy from ethical companies: They aim to avoid damage to the environment, exploitation of workforces, use of child labour, or producing goods which are harmful or dangerous. For example know where your furniture comes from by looking for Forest Stewardship Council (FSC) certification: Forest certification is about more than just which trees are cut down – forest certification is also about the well-being of workers and local communities. FSC is the only credible forest certification system that ensures environmentally and socially responsible management of forests. 14. Buy sustainably: We can all consciously try to buy less in the first place, and choose to buy pre-loved goods from charity shops, car boot sales and auction websites such as EBay. We can borrow items instead of buying, e.g using a library to access books, magazines, films and music. But we can also make simple changes to our shopping patterns and use our purchasing power to support eco-friendly and biodegradable products which are less damaging to the environment. Read labels carefully and look out for certifications such as Soil Association or Fair Trade or Marine Stewardship Council. 15. Take a ‘Staycation’: Flying emits greenhouse gas emissions, contributing to climate change. Instead, why not think about getting to know the UK better and taking a staycation instead of going abroad? Not only is the train greener, but it’s a lot more fun with a family. 16. Green your home: look at your cleaning products and choose those less damaging to the environment. You can use lemon juice, vinegar and bicarb as natural cleaners and buy eco-products from companies such as Ecover and Method. Avoid plastic and single use items wherever possible, for example by using cloth shopping bags and reusable water bottles. 17. Buy local and organic wherever possible: try and buy organic produce if you can, and locally produced food is best as there are no air miles; check labels in supermarkets for food grown in the UK. Use up leftovers and compost any food waste. Join a food swap network such as OLIO. Also support local small businesses in purchasing other things such as craft items and gifts. Let’s move away from the mentality of – Mine it, Make it, Dump it! https://www.climaterealityproject.org/. Use your voice. Let the world know the reality of climate change. Explore the actions below and get vocal with your friends, family, and community today. https://www.theccc.org.uk/. The CCC is an independent body established under the Climate Change Act to advise the UK Government on reducing greenhouse gas emissions. http://footprint.wwf.org.uk/. A quick and easy way to measure your environmental carbon footprint which could change the way you live, produced by the World Wildlife Fund. http://ukclimateprojections.metoffice.gov.uk/. Funded by Defra and site managed by the Environment Agency and the Met Office. https://www.theclimatecoalition.org/ - The Climate Coalition, the UK’s largest group of people dedicated to action on climate change and limiting its impact on the world’s poorest communities. http://www.ciwf.org.uk/. Compassion in World Farming’s Food Business team is working with some of the world’s biggest food companies - retailers, producers and manufacturers – towards a more ethical and sustainable food supply. http://www.greenpeace.org.uk/. Greenpeace is a non-governmental environmental organisation with offices in over 40 countries. https://www.foe.co.uk/. 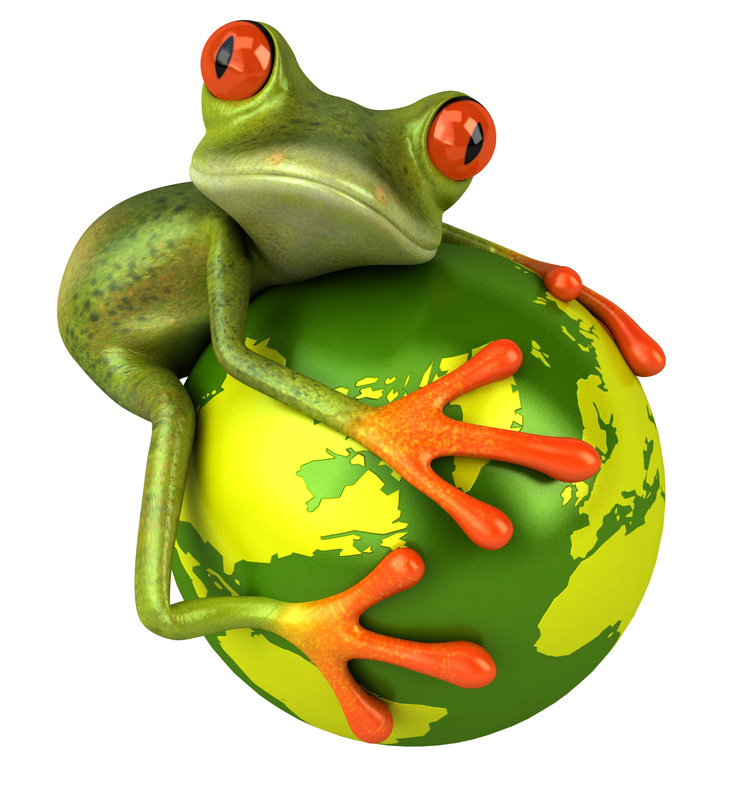 Friends of the Earth (EWNI) is one of 70 national groups around the world which make up the Friends of the Earth network of environmental organizations. It is usually referred to just as Friends of the Earth within its home countries. http://ethical-company-organisation.org/. Aims to help people make informed decisions about which brands are best for the planet, best for animals and best for people world-wide. https://transitionnetwork.org/. Transition Network is a charitable organisation whose role is to inspire, encourage, connect, support and train communities as they self-organise around the Transition model, creating initiatives that rebuild resilience and reduce CO2 emissions. Local groups are everywhere – get involved. Carrie Cort is a Climate Reality Leader who offers Climate Reality talks and age appropriate climate awareness fun sessions for children, plus lots of other ‘greener living’ assemblies, workshops and days for schools and children’s groups. SGL contains lots of ideas, information and links to further reading about greener living. 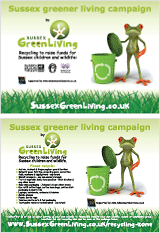 cort@sussexgreenliving.co.uk or call 07768 212833. This entry was posted in Climate change, Green stats, facts & news. Bookmark the permalink.